As another semester comes and goes, The Phoenix has been forced to deal with — and write about — an issue we’ve seen time and again: university transparency. Most often, this comes in the form of an email from University Marketing and Communications. Reporters have been sent to communications specialists for a wide array of campus issues from leaking pipes in residence halls to new online security measures, and everything in between. The quality of our work suffers as a direct result of being barred from speaking with the experts involved in a situation. When we can’t speak with members at Loyola who are most informed on a situation, we aren’t able to understand it ourselves. This makes it incredibly difficult to communicate to our readers. In the news world, an emailed statement holds much less credibility than a candid verbal conversation. More often than not, an email from University Marketing and Communications confuses reporters with its vague response or jargon-filled language. That is, when they offer information at all. At the beginning of this semester, The Phoenix’s editor-in-chief and news editor met with members of Loyola’s communication team to clear the air and plan for better communication going forward. Those Phoenix staff members were told communication and transparency would improve this semester. While Phoenix reporters are now getting responses from communications specialists instead of being left completely in the dark, the responses hardly ever answer questions asked. When we receive a single-sentence answer to a lengthy list of questions, it can come off as defensive. Through email communication, the opportunity to ask follow-up questions, get important clarifications on an interview subject’s answers and catch implications in body language and voice inflection disappear. Since that meeting, from the perspective of The Phoenix staff, communication might have increased, but not necessarily improved. A month earlier in late September a Loyola student was beaten and robbed near her apartment three blocks from campus. Loyola Campus Safety didn’t send a crime alert, setting students on edge. When a Phoenix reporter sent a list of questions to Loyola communications, the spokeswoman responded the Chicago Police Department was investigating. This was an answer to a question The Phoenix didn’t ask, nor needed answered. But Phoenix reporters aren’t the only students who care about university transparency. Following a spree of shootings and armed robberies in the neighborhood, violent crime in Rogers Park remains on the forefront of many students’ minds. Many students have taken to social media to express their frustrations with the university’s handling of crime around campus. In late October, a Loyola student shattered the front doors of Marquette Residence Hall. This caused some Loyola students to think the dorm had been broken into because the university didn’t send a statement about it until around 13 hours after the incident. One Loyola student took to Facebook to call on Loyola to improve their communication with students. 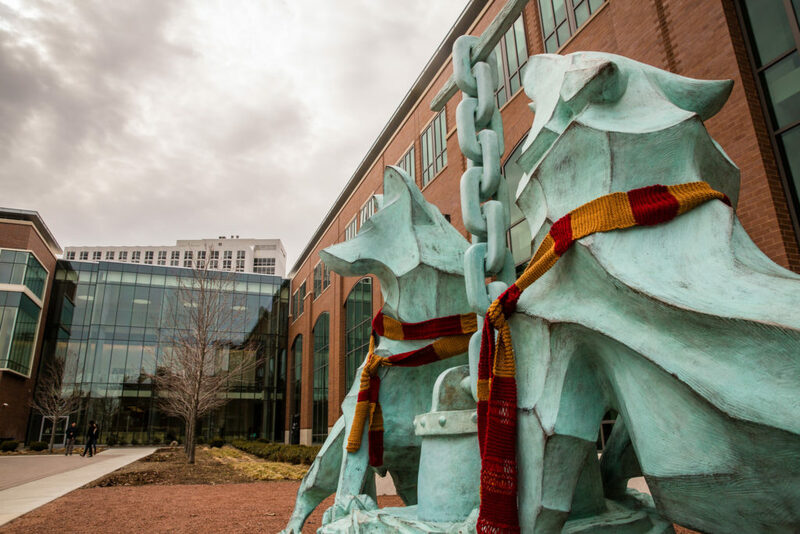 “Loyola Chicago you have a responsibility to keep your students safe and you have failed,” she wrote. 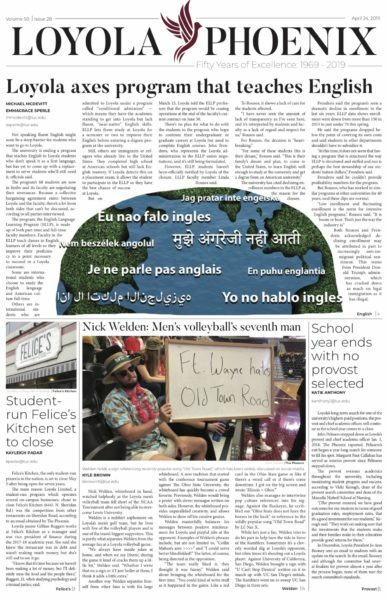 Even though we are a student newspaper, The Phoenix functions as any newspaper does: to bring essential information to its readers. When we are sent to spokespeople who don’t give details on safety incidents and student issues, more questions are raised than answered. Following the September robbery of a Loyola student, another student posted her frustrations on Facebook, saying Campus Safety should have notified students of the attack. As reporters, we have a responsibility to our readers, and we want to help our fellow students get what they need from the school. Our only choice is to assume that when the university keeps key details from reporters, it’s more concerned with the reputation of the school than keeping students safe and informed. We’ve said it before, but we hope we don’t have to say it again: Loyola students deserve better from their university.